This little folded bunny napkin is a snap to do and they turn out cute (but not too cute, if you know what I mean). I'm always drawn to things that create a big impact, yet take under a minute to do. 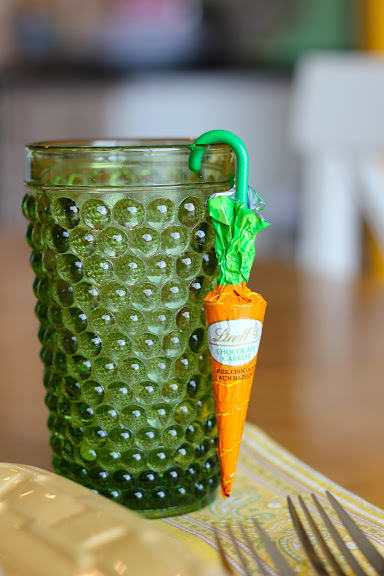 Your Easter guests will instantly feel all warm and fuzzy inside when they see these. All you need is napkins and these instructions and you're set. I find these to be absolutely, positively charming! I've seen these pretty much everywhere Easter candy is sold. 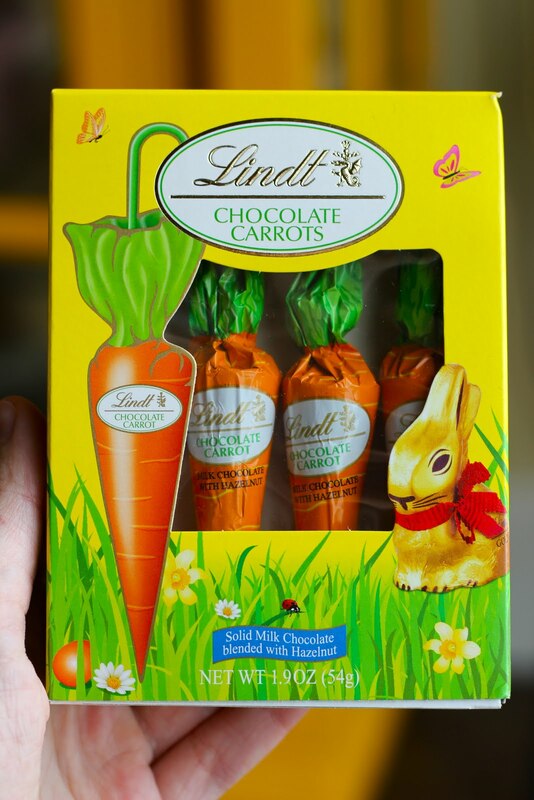 Lindt chocolate is some of the best, so they're cute and delish all at once. and BAM, you've got yourself darling (but not toooo darling) place settings! Mmm, hazelnut? I better try some of those. 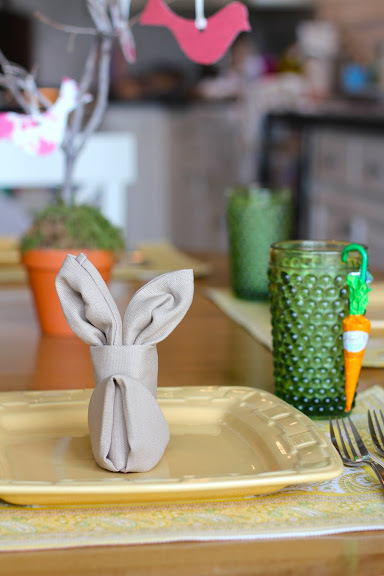 You're totally right about the perfect level of cuteness in those napkins - I love them. I love the color of the ones you used - nice and classy. Oh My gosh this is such a cute idea! I'm so mad I didn't see this before Easter!